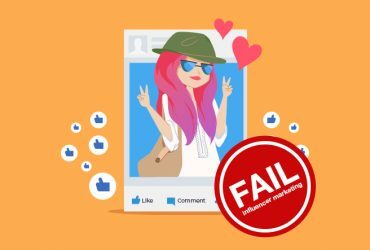 This week we’ll be taking a closer look at several creative WeChat campaigns that have caught our attention in recent times. 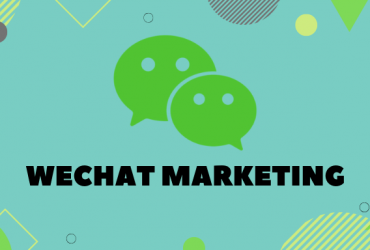 WeChat’s ever-expanding functions provide marketers with brand new ways to connect with and spike the interest of potential customers. 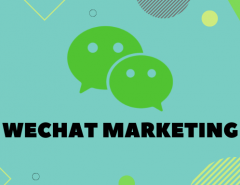 From QR codes that lead to H5 games to shake functions that enable users to interact with people and brands around them, WeChat has taken social media marketing to a whole new level in which online-to-offline activations are increasingly popular and commonplace. 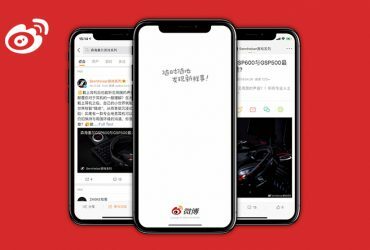 Although we expect brands to become more knowledgeable and creative with regards to WeChat’s in-app functions in their marketing campaigns, the following brands have already managed to break the mold. Back in 2014, British Airways partnered with Social@Ogilvy to launch their very first WeChat campaign just in time to celebrate the Chinese New Year. In an aim to lure the company’s 350,000 existing Sina Weibo Followers to their new WeChat account, British Airways took inspiration from traditional Chinese festive behavior in the form of a golden ticket giveaway. 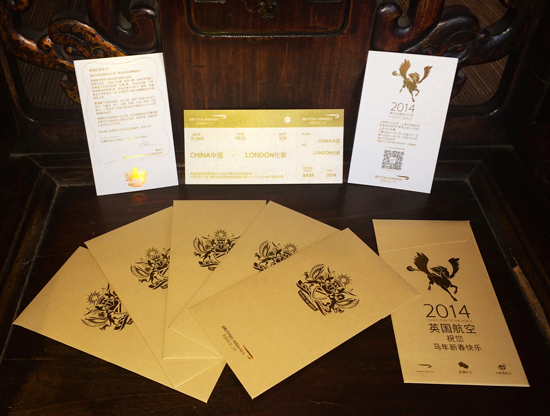 In a move that reminded many of the popular movie “Charlie and the Chocolate Factory”, British Airways delivered custom-made golden envelopes to the first 2014 followers of their WeChat account. Each envelope contained a promotional coupon worth 300 RMB and three randomly-selected lucky followers won round-trip tickets between China and London. 10,000 WeChat users followed the BA account within the first 10 days of its launch and the online-to-offline approach they privileged allowed them to create an unforgettable experience for those involved and an interesting case study for us marketers. Coach, one of New York’s leading fashion brands, introduced its’ latest product line at Hong Kong International Airport. 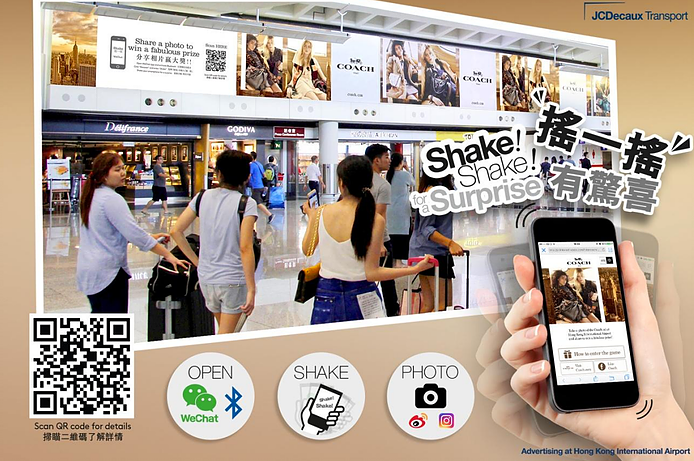 Along with JCDecaux, Coach placed digital screens and light-boxes at the arrival’s greeting hall and central down ramp area that encouraged nearby WeChat users to shake their phones for a surprise. 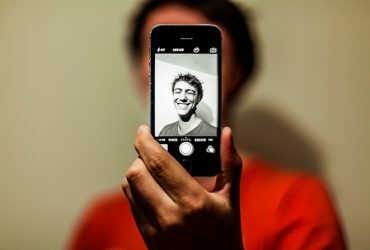 Once users had shook their phones and landed on the campaign landing page, they were invited to take part in a photo sharing contest. All users had to do was take a photo and add a campaign-specific hashtag (#CoachPreFall2016) in order to participate in a lucky draw for a signature Coach handbag. 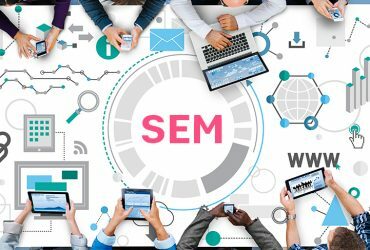 Due to their understanding of the Asian digital landscape and the mobile dominated environment it promotes, Uniqlo’s marketers are experts when it comes to executing successful O2O campaigns. 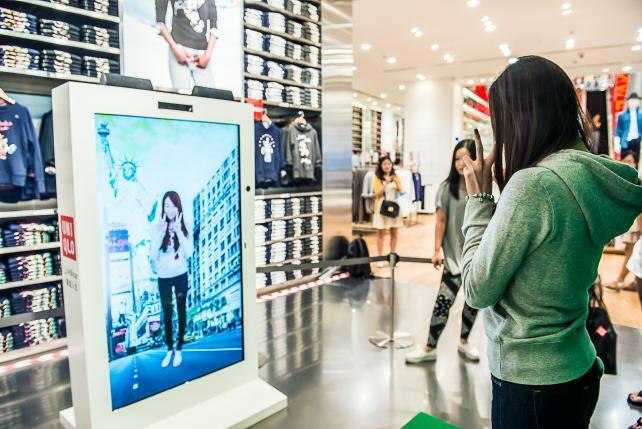 Their most successful O2O campaign to date, entitled “Style Your Life”, encouraged consumers to try on clothes in front of large monitors equipped with cameras that displayed several different backgrounds such as New York, Tokyo and London. 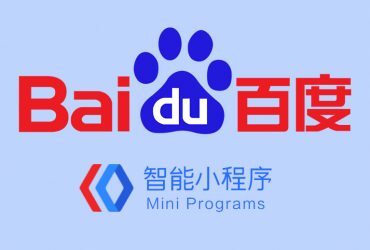 The pictures taken by the monitor were sent to that user’s WeChat account and included the brand’s logo. One third of the participants shared their photo on their WeChat moments and all in all, the campaign was a huge success. 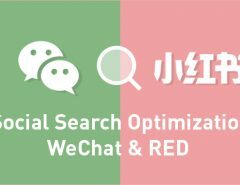 Their number of WeChat followers grew from 400,000 to over 1 million and they even recorded a 30% increase in sales for the featured products. Alright so this is a bit of a weird one I guess. You may not have heard about it before, but Chimelong International Circus or 长隆大马戏 for the Chinese, is allegedly China’s most famous circus. 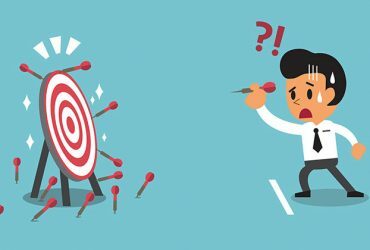 Sure, it may not be an internationally-recognized brand and you may be wondering why it’s part of the list, but the manner in which they’ve managed to deal with long waiting times is hugely impressive! 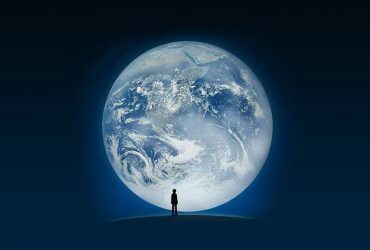 Due to the popularity of the circus, spectators need to come 2 hours before the show in order to get a front-row seat. But so as to maintain the spectators’ excitement, the circus staff members put their large screen to good use. The large screen initially asks spectators to use the shake function on WeChat to find their official account. 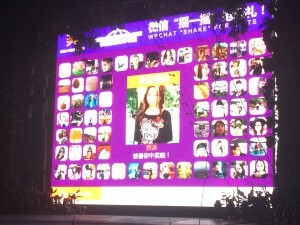 Once the user follows their official account, that person’s WeChat profile picture is displayed on the large screen. Spectators also compete to win special gifts and their waiting time basically turns into fun time. Through this method, not only does the circus improve waiting conditions for their spectators, but they also rake in thousands of new WeChat followers at each show! 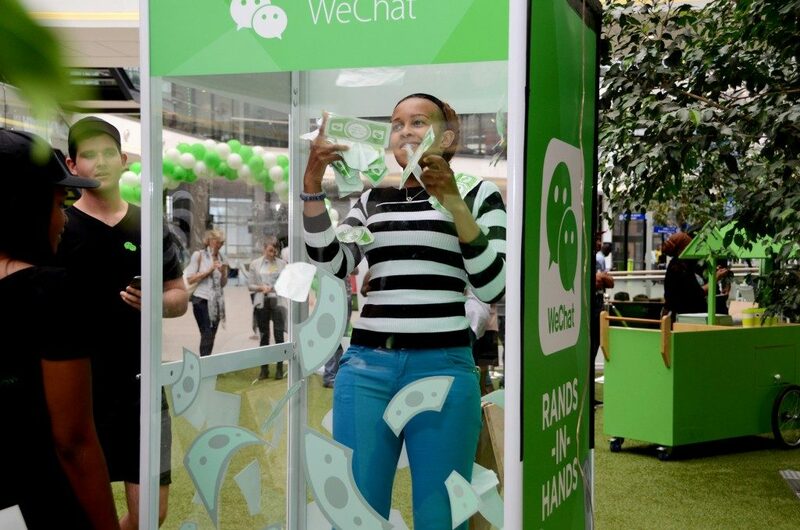 Last but by no means least, WeChat themselves have used their own functions to promote the launch of their WeChat Wallet in South Africa. 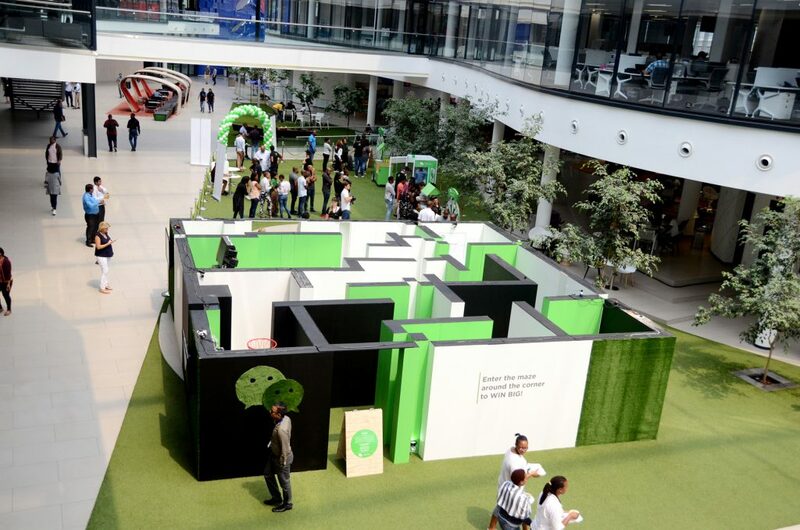 The agency they tasked to create the experiential event, named Brandnew Creative Agency, booked the entire first floor of the Multichoice City in Randburg and equipped the area with tons of engaging and innovative games and competitions that encouraged people to download the WeChat wallet. For instance, the area contained a money booth in which participants had 10 seconds to grab as much money as possible while notes swooped around them. That money was then counted and loaded into their WeChat wallet once they scanned the relevant QR code. The area even boasted a huge maze in the shape of a QR code in which participants could play a variety of offline games that were rewarded in digital money, i.e on WeChat wallet. 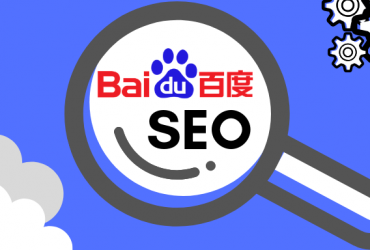 This O2O activation resulted in thousands of downloads of the WeChat wallet and WeChat’s brand awareness in South Africa was significantly enhanced. 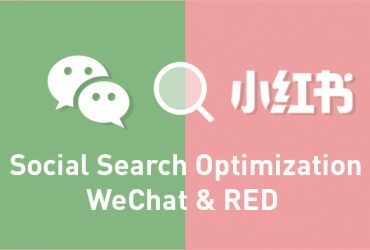 As you can see, countless brands are leveraging WeChat’s functions to create original campaigns that go beyond the typical QR code to promotional page method. 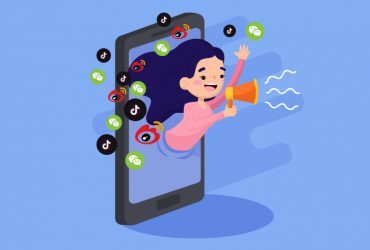 Another phenomenon that the proliferation of these creative WeChat campaigns has encouraged is the rise of online-to-offline AND offline-to-online activations. 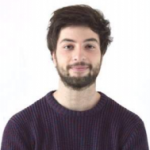 WeChat are most certainly aware that brands are using their app functions in increasingly creative ways and we can probably expect them to release other campaign-facilitating features and functions in the future. 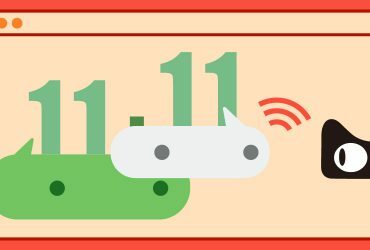 Next Article What’s WeChat’s role in the 11/11 shopping festival?